An astonishing amount of ice covered the aircraft after less than 50 years. Our mid-1997 article, The lost squadron,1 told the amazing story of a squadron of American fighters	and bombers forcibly abandoned on a Greenland glacier on 15 July 1942. This made sense, considering that most people have the impression that it takes	thousands of years to build up icesheets that are hundreds of metres thick. ‘The fork-tailed devil’ was how Nazi pilots described the Lockheed P-38 fighter plane during WWII. The amazing story of the recovery of these famous aircraft has highlighted one of the greatest fallacies of our age. With great effort and expense, and using specially invented machinery to melt down	to the planes’ icy tomb, one of the Lockheed P-38 fighters was eventually	recovered. Despite its having been more badly damaged by the weight of the ice than	first thought, enthusiastic restoration went ahead.4 In mid-2003, six years after our article appeared, the appropriately-dubbed ‘Glacier	Girl’ took to the air again, for the first time in nearly 60 years. The fascinating news that one of these magnificent ‘planes in ice’ is	actually flying again brings to mind their whole amazing story. 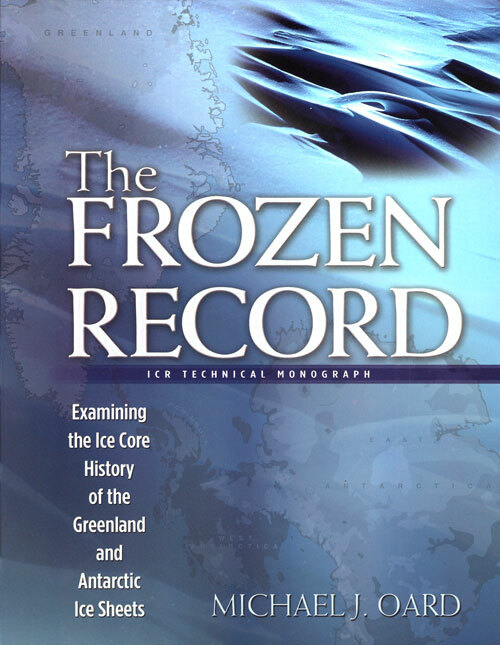 It is a powerful,	real-life testimony against the widespread belief that it takes vast timespans to	lay down thick layers of ice. This belief is in any case not the result of any stringent scientific logic so much	as cultural indoctrination into the ‘slow-and-gradual’ philosophy that	has set itself up in opposition to the straightforward chronology of the Bible. Every time we hear of ‘Glacier Girl’ appearing at another airshow, it	can remind us of the stark facts her reappearance has demonstrated. Are the Greenland and Antarctic Ice Sheets old? 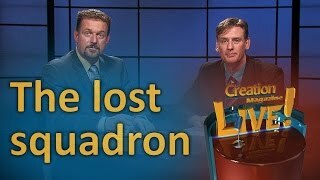 Wieland, C., The lost squadron, Creation 19(3):10–14, 1997. Return to text. The most expected was about 10 m (30 ft). Return to text. To preempt another round of correspondence: planes will not sink through solid ice, which in any case would result in the wings sinking at a different rate and thus shearing off. This ice definitely ‘packed on top’ of these planes—see Would planes sink into ice? 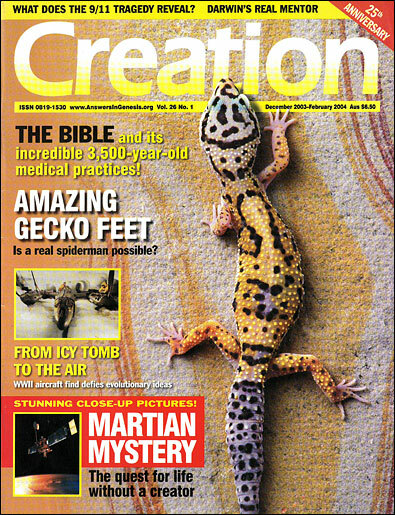 Creation 19(4):29, 1997. Return to text. Despite the damage, the majority of the parts used are original. Return to text.